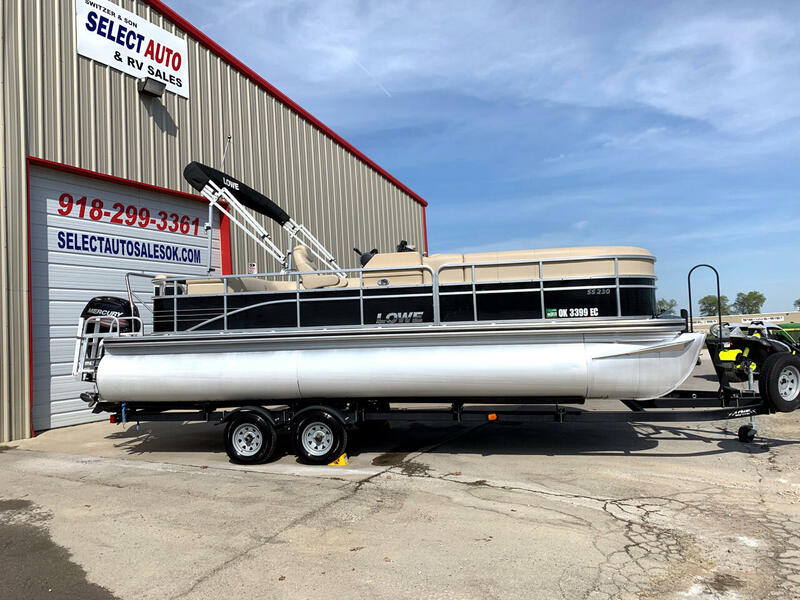 Here is a 2016 Lowe SS230 Pontoon Boat with a Mercury Four Stroke 115HP. This unit is in exceptional shaped inside and out. Everything works as it should. The compression test reflects 1. 180 2. 185 3.180 4.180. It has a new water pump and lower unit fluid. This unit is ready for the lake in every way. Also, the boat comes with the cover, Bimini Top, Bluetooth Stereo System, Tandem Axle Trailer with Surge Brakes, Spare Tire and Carrier just to name a few. While reasonable effort is taken to ensure the accuracy of the data, we are not responsible for any errors or omissions contained in these pages. Please verify any information in question with the dealership sales representative. Message: Thought you might be interested in this 2016 Lowe Pontoon.